The Philadelphia Flyers new mascot will haunt your dreams, but these two radio hosts say Flyers fans will love him anyway ... or maybe because of that. If you hadn't already seen him, count yourself among the lucky ones. This week, the world met Gritty — then shook with fear and loathing. Gritty is the Philadelphia Flyers' massive, hairy, bug-eyed new mascot. 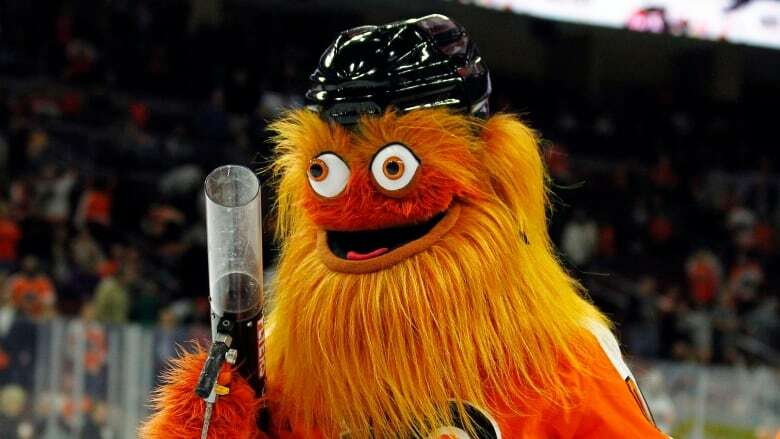 In his debut at the team's pre-season hockey game Monday night, Gritty — a hockey mascot — fell on the ice and shot a person with a T-shirt gun. Headlines reported his arrival on the ice like horsemen heralding the apocalypse. Crossing Broad warned: "The Flyers' New Mascot Is Here To Murder You." And a parody GoFundMe page called for Gritty to be euthanized. Maybe that one was overkill. But Bill Matz and Kelly Hinkle, who host Broad Street Hockey Radio, told Day 6 that they love Gritty's grit. "I think it's a perfect representation of not only how we view ourselves, but how people view us as Philadelphia fans," Matz said. "He looks like some drugged up maniac, the way people perceive Flyers fans [as] the most intimidating fans in hockey." A common point Gritty critics have made is that his unhinged appearance makes him terrifying to children — the very people mascots are ostensibly supposed to please. Matz agrees. "If I were a kid and Gritty walked up to me, I'd like to believe I'd be all about it, give him a high five and want to be Gritty's best friend. But I would probably be afraid," he said. Hinkle maintains Gritty is not that scary. Some Gritty haters have asked why the Flyers even need a mascot. Others accused Gritty of ripping off the style of the Phillie Phanatic, the monstrous green mascot who cheers on the Philadelphia Phillies baseball team. Hinkle and Matz say the comparison to the Phanatic was inevitable. "In Philadelphia, the Phillie Phanatic is pretty much a god. You could replace most of the statues in the city with a statue of the Phillie Phanatic and people would be very in favour of the move," Hinkle said. 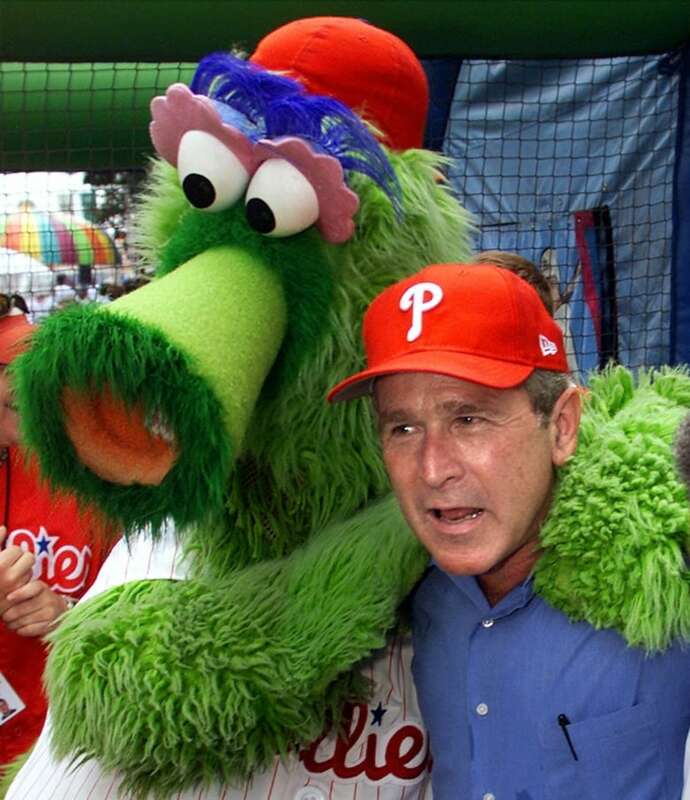 "The Phanatic just kind of represents Philadelphia and he's what we compare every other mascot to. So you're just not going to get a good reaction right away because everyone's just going to say: 'It's not the Phanatic,'" Matz said. Yet Hinkle and Matz both say introducing Gritty was a good move for the Flyers. "I think they knocked it out of the park and you can see by the by the publicity it's getting. I can't remember the last time hockey was everywhere," Matz said. To hear more of Bill Matz and Kelly Hinkle's gritty take on Gritty's grit, download our podcast or click listen above.